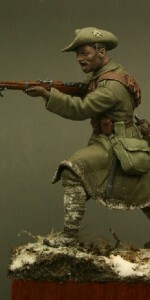 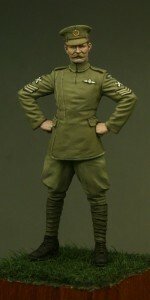 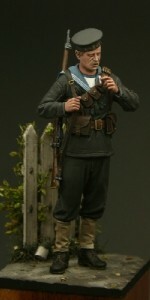 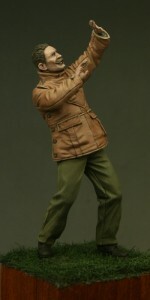 Cast in 54mm (1/32 scale) high quality resin comes this figure from the hugely popular World War One series Tommy’s War. 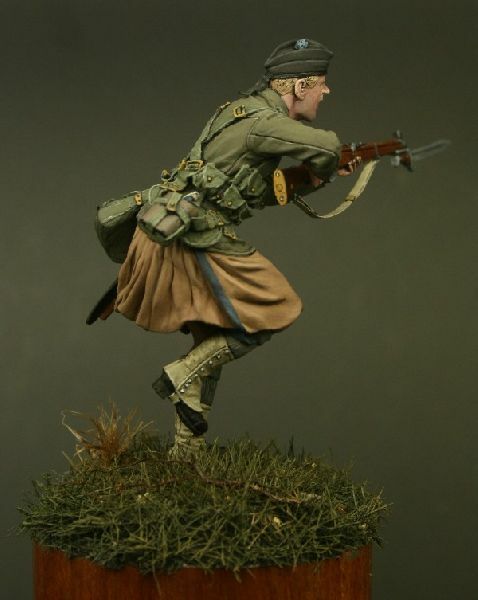 This figure features a Private of the London Scottish Regiment, the first British Territorial regiment to see action in World War One when they went in to action on October 31st at Messines and held the line despite terrible casualties. 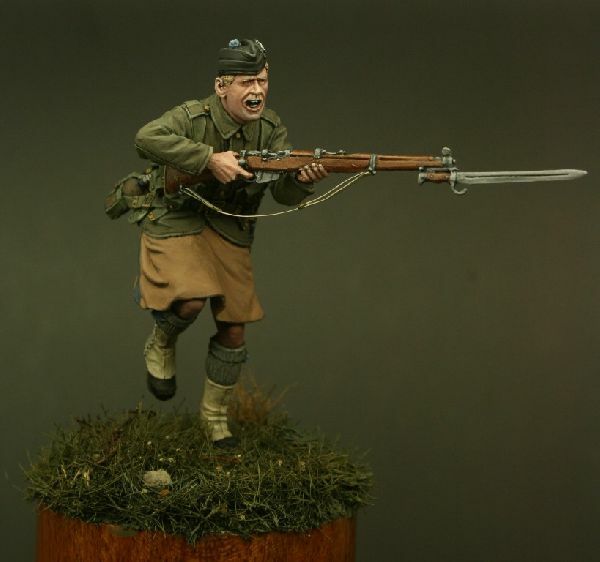 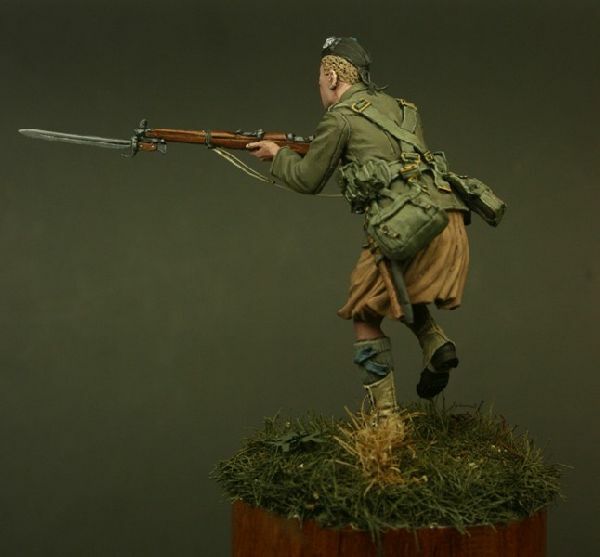 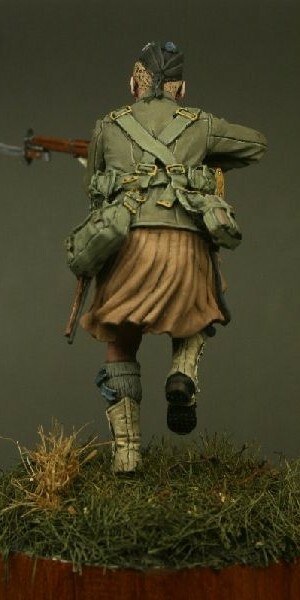 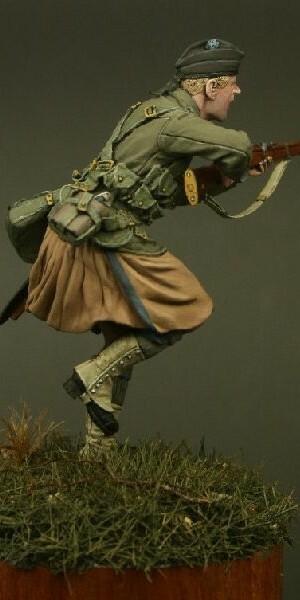 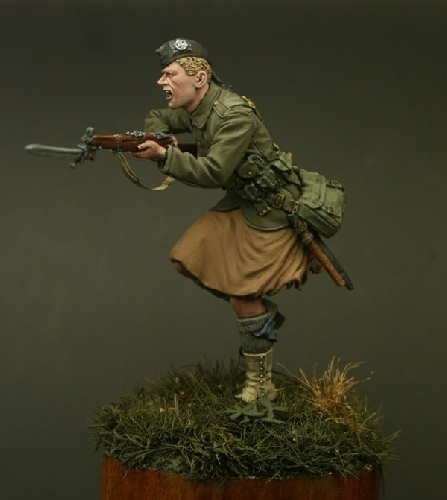 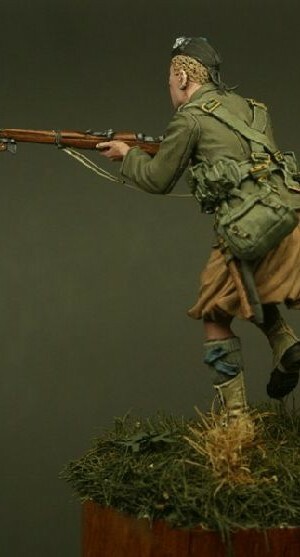 This figure is correctly equipped with the older Long Lee Enfield rifle and is shown in the famous Hodden tartan of the ‘Cockney Jocks’. 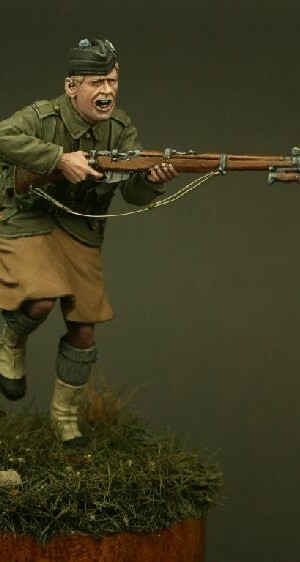 Please note that photo-etch rifle slings are now included with all Tommy’s War figures that have a rifle. 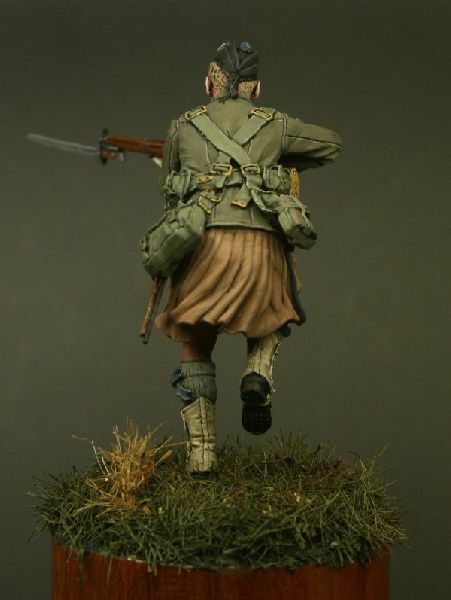 Please note that the base and any groundwork shown in the image is for box art purposed only and is not included in this pack. 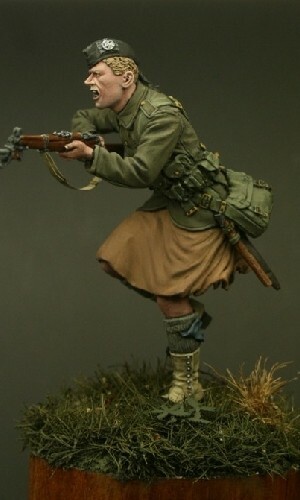 Be the first to review “TW32011 – Private, London Scottish, Messines 1914” Click here to cancel reply.